What a week; B&B guests in for their Wedding Anniversary dinner last Friday. If you read this, thank you for being so effusive about your special dinner; I loved cooking it for you!! Then on Saturday it was our daughter’s 21st dinner party; much fun was had by all. Luckily, our B&B guests slept through the night! This week, we have another evening of celebration and another delicious menu to produce. This glorious early spring weather has brought all our plants into bud and the camellias into flower. The lambs in front of us are literally jumping for joy! Today, with the very high tide, the curlews are back. 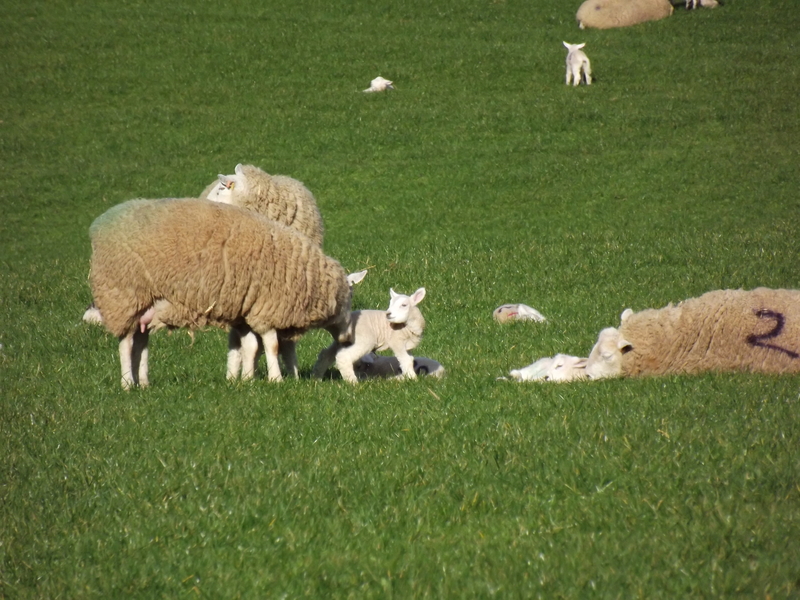 The lambs seem to know that they peck in a line and won’t be deviated by anything, so bounce around them as if on pogo sticks – divine!! This entry was posted in General and tagged anniversary, Exmoor, Food, Holidays, marsh, nature, Porlock, Porlock Bay, Porlock Salt Marsh, spring, Travel. Bookmark the permalink.